It is our goal to follow ENSSSHE’s (The European Network of Sport Sciences in Higher Education) 5-level structure for the recognition of coaching qualifications in EU. The ETBF Educational Committee is providing Level I, Level II and Level III Coaching programs to all federations. Our programs are presented as National or International Clinics. National Clinics (Levels I and II) are mostly hosted by the federations and/or local associations where our instructors visit the country and present the program. International clinics are scheduled clinics and hosted in our Official or ETBF Approved Training Centres and open to all qualified participants. They are suitable for the federations who only have a few candidates. ETBF Level III clinics are hosted only in our Official Training Center - Kuortane, Finland. The Level I coaching program is for coaches who will coach beginner bowlers and children. It is important for the development of bowling in all countries, as those coaches will assist people interested in the sport of bowling and create a foundation for new bowlers. Level I coaches can also assist Level II and III coaches. There is no prerequisite for Level I. Focus of Level I program is the foundation of bowling. Coaches must complete 150 hours of coaching post clinic to be qualified as ETBF certified Level I Coach. 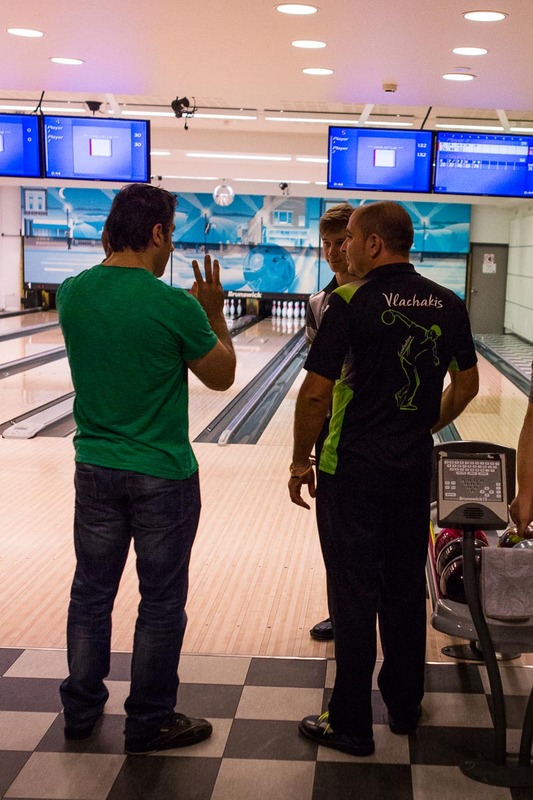 The Level II coaching program targets bowlers who are entering competitive bowling. Accordingly, the program includes more information about the modern bowling environment, competitive skills, versatility and information about ball reaction. Coaches must complete 200 hours of coaching post clinic to be qualified as ETBF certified Level II Coach. Level III is the highest ETBF coach education program and is targeted for those who are running national programs, and for those who work within bowling coaching on a professional basis. The program has a very detailed focus on fundamentals, technique, ball reaction, arsenal and many other topics that help coaches in professional practice. All levels, except Level I, require previous level program certification and member federation approval. All ETBF programs are continuously updated by our committee following the worldwide developments and researches about bowling. The ETBF has three categories to evaluate and support with Federation programs: national programs, integrated programs and recognized programs. The ETBF Programs are structured for National Bowling Federations who do not have their own existing Coach Education Programs or are wishing to update their existing system. National Federations can invite ETBF Instructors (or an ETBF Certified Instructor) to conduct ETBF Level I and/or ETBF Level II Clinics in their country. Participants will get a “ETBF Certificate of Participation” at the end of the Clinic. Once they fulfil their Practical Coaching Hours which is approved by the National Federation, the ETBF Educational Committee will provide a “ETBF Certified Coach” certificate. ETBF Level I and II programs are 4 full day programs including lane and classroom work. Travel expenses, accommodation, food and beverages for the Instructor. If translation required: ETBF recommends a person who has bowling background/info and speak good level of English instead of a professional interpreter. ETBF INTEGRATED NATIONAL PROGRAMS are for National Federations that already have their own Coaching Programs but wish to use ETBF PROGRAMS at some part of the curriculum. Federations can invite ETBF Instructors to conduct the Clinics and/or send their chosen Coaches to ETBF Certified Instructor Courses to certify their own Instructors. Often the National Federation translates ETBF Material into their own language. Participants will get a “ETBF Certificate of Participation” at the end of the Clinic. Once they fulfil their Practical Coaching Hours which are approved by the National Federation, ETBF Educational Committee will provide a “ETBF Certified Coach” certificate. ETBF RECOGNIZED NATIONAL PROGRAMS is a recognition program whereby National Federations can get approval of their own Coaching Education Programs from the ETBF Educational Committee to be considered equivalent to ETBF PROGRAMS. This means that Coaches from these Countries have the same status as Coaches from ETBF PROGRAMS. All coaching candidates must complete practical hours after the clinic to complete their education. These hours must be approved by their member federation. This approval must be send to ETBF to certify candidates as “ETBF Certified Instructor/Coach”. ETBF Clinics are usually given in English (depending on the country). It is recommended to have a translator who is familiar with the bowling terminology. All clinics require theoretical and practical classes. Accordingly our instructors need a silent/quiet classroom for the theoretical parts. Our classes usually require projector and a white board. Our practical classes are on-the-lanes programs. Our coaching clinics require free lanes enough for the participants and a silent environment for a more efficient instruction/class. All necessary requirements will be sent to the federation before the clinic. Federations can apply for a coaching program by filling in the Application form for educational clinics and/or contact Onder Gurkan at og@etbf.eu.